Giving your child a Swiss education can broaden their mind by immersing them in a country renowned for its multiculturalism, diversity, tolerance and beauty. In Part 2 of our Study in Switzerland series, we stress the importance of opening children’s minds to the wider world at an early age, to lay the foundations for a brighter future. Mixing with people of other cultures is part of the Swiss way of life, since this is how they live on a daily basis. Within the country itself, there are huge cultural differences since there are four national language areas, speaking French, German, Italian and Romansch. In the course of a day, those who come to study in Switzerland will find it possible to travel through all these linguistic zones and appreciate how very different they are. Yet, these differences make for successful cohabitation and the Swiss are known for their tolerance, respect and understanding for other lifestyles. Not a day passes without the media relaying the latest atrocities occurring across the world. Without wishing to over simplify, many conflicts have their root in miscomprehension and a lack of cultural cohesiveness. Our children are our future. Do we not want them to be citizens of the world, to be open minded and curious about other ways of life? Do we not want them to be conciliatory rather than divisive, looking for similarities rather than highlighting differences? Do we not want them to be linguistically competent, moving beyond English as the only means of communication, taking a step towards others? Remove the barriers of nationalism and cultural division at an early age, and children attending an international school in Switzerland will grow to become true citizens of the world. 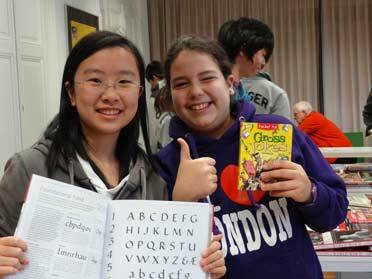 A Swiss international school education can offer such a future. The diversity of its academic offerings, thanks to its excellent international schools and day school programmes, is almost as staggering as its towering snowy peaks. Students from over 100 different nations currently study in Switzerland and can choose to follow the British A Level programme, the American High School, the International Baccalaureate, the German Abitur, the French Baccalaureate or the Swiss Maturité. Living together in a multicultural international school environment in Switzerland from an early age gives students from different countries a chance to find their similarities and to discover the things they have in common with the teachers, with their friends, and with those who will be part of their professional network later in lives. It’s at school that many of us form bonds for life, bonds that can shape the course of our lives and provide the gateway to untold possibilities and opportunities. Cultural differences and intolerance just do not come into play at the school age and the experiences they have then will carry through their adult lives. Of those who study in Switzerland, during alumni reunions later in life there is certainly a magic in the air as people of all ages and all cultures come together, united by their tremendous affection for the time they spent in Switzerland. Our Summer Course offers an excellent introduction to Swiss schooling at Brillantmont, or a way to supplement language studies during a student’s summer holidays. Visit Brillantmont Summer Course page to download our brochure, including fees and enrolment information. At Brillantmont we’ve 130 years’ experience educating children aged 11-18, both boarding and day students. Visit Brillantmont Secondary Programme page to download a brochure with information on our day and boarding school programmes, how to enrol and a calendar for the 2012-13 academic year.